Welcome to the main page for the Five Town Little League Tee Ball. Tee Ball is open to Boys and Girls ages 5-7. This division is an instructional league where everyone will have equal playing time. Scores and outs are not kept. We emphasize positive self-esteem and good sportsmanship regardless of players' abilities. Teeball is designed to introduce the game to first-time players while they learn basic fundamentals such as throwing, catching, hitting, fielding position and basic rules. 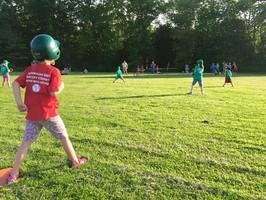 Tee Ball 2019 Tee Ball 2019-04-29 2019-04-29 Go! All of our practices and games will take place on Tuesdays and Thursdays from May 7 to the final session (Tee Ball Olympics and Ice Cream Social) on June 20. Our schedule will be posted for you to access, download, and print from our league website – http://ftll.sportsoffice.com. Find it under the “Tee Ball” tab, and identified as “2019 Tee Ball Schedule” in the righthand column. We have 8 teams and play 4 games every Tuesday and Thursday. Three games per night will take place at Old RES field, in Rockport. The fourth game will take place at one of two other Five Town locations, with each of our teams taking turns playing at those locations. On May 14, 16, 28, and 30, the fourth game will take place on the lower/soccer field at the Lincolnville Town fields, behind Lincolnville Central School. On May 21 and 23, and June 11, 13, and 18 the fourth game will take place on the softball field behind Hope Elementary School. On June 4 & 6, the fourth game will take place on the ballfield at Appleton Village School. Please understand that some amount of travel is necessary for all team sports. 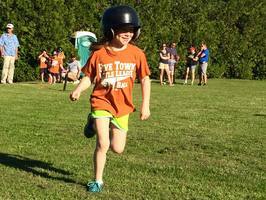 We are lucky that nearly 70 children registered for Five Town Tee Ball from all of our five member towns – Appleton, Camden, Hope, Lincolnville, and Rockport. 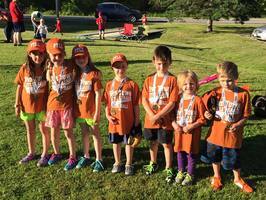 For the first time since our Five Towns merged Little League nearly a decade ago, we will be hosting Tee Ball games in four of our five towns, including the towns of Hope, Lincolnville, and Appleton. It’s especially exciting for the children and families of Hope, Appleton, and Lincolnville, but it should be a great experience for our Rockport and Camden children, too. Believe it or not, these same Kindergarteners and first graders will be playing softball and baseball with their friends from all five towns at Camden Hills Regional High School in a few short years. Friendships they make now – with friends from Appleton, Camden, Hope, Lincolnville, and Rockport – will last through high school and beyond. Everybody gets a chance – to play tee ball and to do it in their hometowns. If you aren't already doing so, please follow Five Town Little League on Facebook for all of our regular news blurbs and photos of action at all of our levels. Finally, make sure you thank your volunteer coaches, and ask them how you can help. This thing only works if everyone chips in. Don’t be bashful! All of our practices and games will take place on Tuesdays and Thursdays from May 7 to the final session (Tee Ball Olympics and Ice Cream Social) on June 20. Our schedule has been posted for you to access, download, and print from our league website – http://ftll.sportsoffice.com. Find it under the “Tee Ball” tab, and identified as “2018 Tee Ball Schedule” in the righthand column. We have 8 teams and play 4 games every Tuesday and Thursday. Three games per night will take place at Old RES field, in Rockport. The fourth game will take place at one of three other Five Town locations, with each of our teams taking turns playing at those locations. On May 21 and 23, and June 4, 6, 11, 13, and 18 the fourth game will take place on the field behind Hope Elementary School – the grassy area adjacent to the playground, in the rightfield area of the baseball diamond. 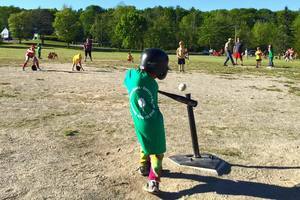 For the first time since our Five Towns merged Little League nearly a decade ago, we will be hosting Tee Ball games in the towns of Hope and Lincolnville. It’s especially exciting for the children and families of Hope, Appleton, and Lincolnville, but it should be a great experience for our Rockport and Camden children, too. Believe it or not, these same Kindergarteners and first graders will be playing softball and baseball with their friends from all five towns at Camden Hills Regional High School in a few short years. Friendships they make now – with friends from Appleton, Camden, Hope, Lincolnville, and Rockport – will last through high school and beyond. Everybody gets a chance – to play tee balland to do it in their hometowns. [Feb 13 2018] Tee Ball Coaches and League Coordinator NEEDED! FTLL Tee Ball operated last season without a coordinator. Our coaches pulled together and made it work, but agreed it would work better if 1-2 volunteers stepped forward to manage the whole Tee Ball division from the outset. We want you! Please contact FTLL President Rick Thackeray at rthackerayjr@gmail.com or 233-8697 to learn more about this program and how you can help make it the best possible Tee Ball experience for our community's future baseball and softball players. We have posted our Parental Code of Conduct in the right column and made it a part of our Consent/Waiver/Release during registration. Please read it carefully in order to understand our requirements.